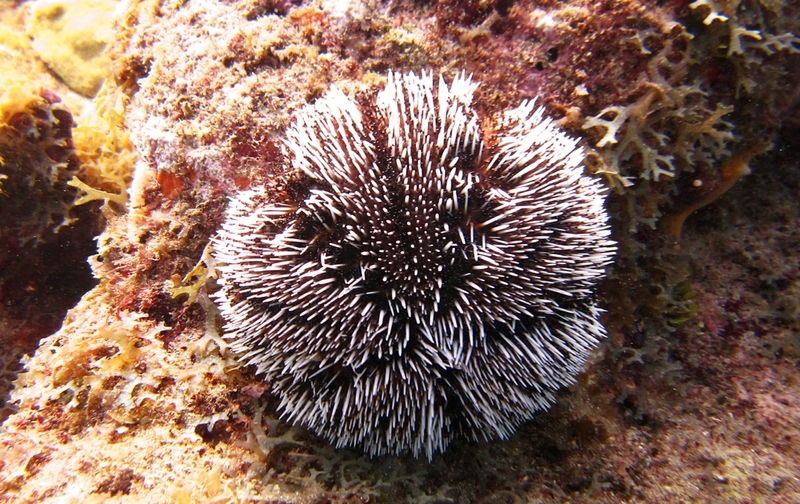 Pretty sea urchin at Dragon Bay in the Marine Protected Area. 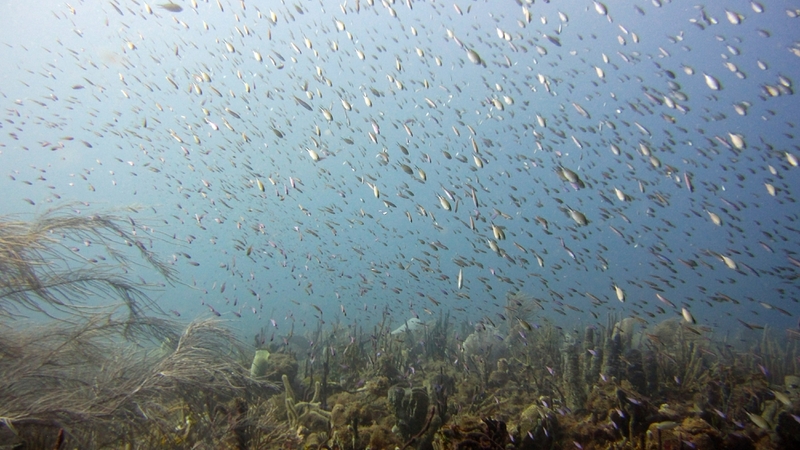 Clouds of reef fish show how well the Marine Protected Area is doing. 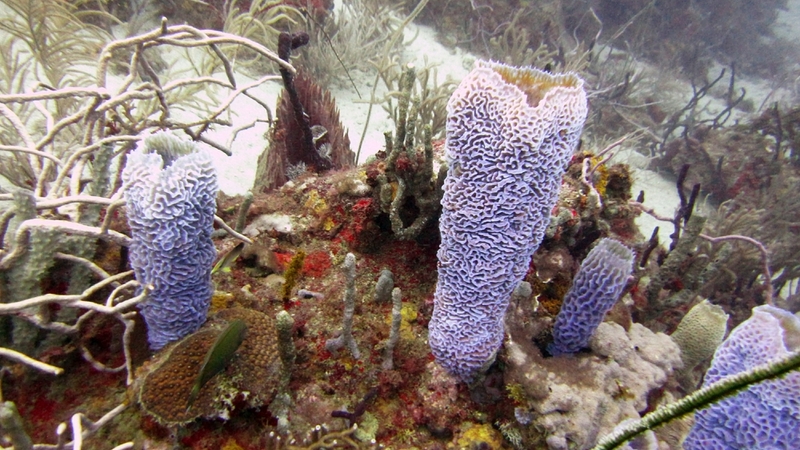 Azure Vase Sponges (Callyspongia plicifera) at Dragon Bay in the MPA. 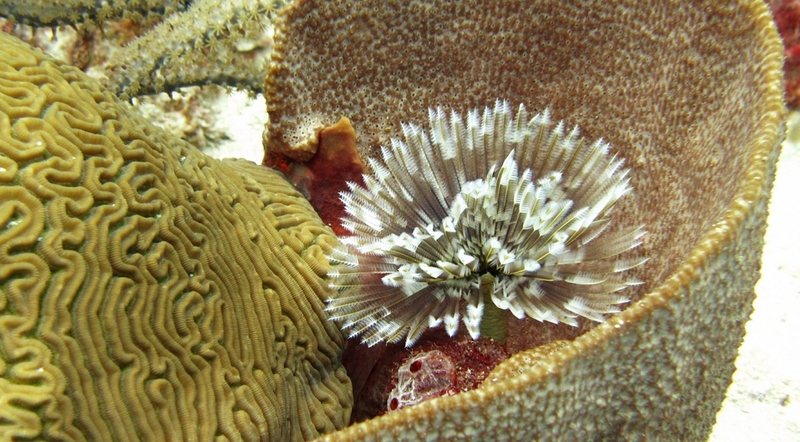 Brain coral, Barrel sponge, and a pretty Tube worm of some sort at Purple Rain. 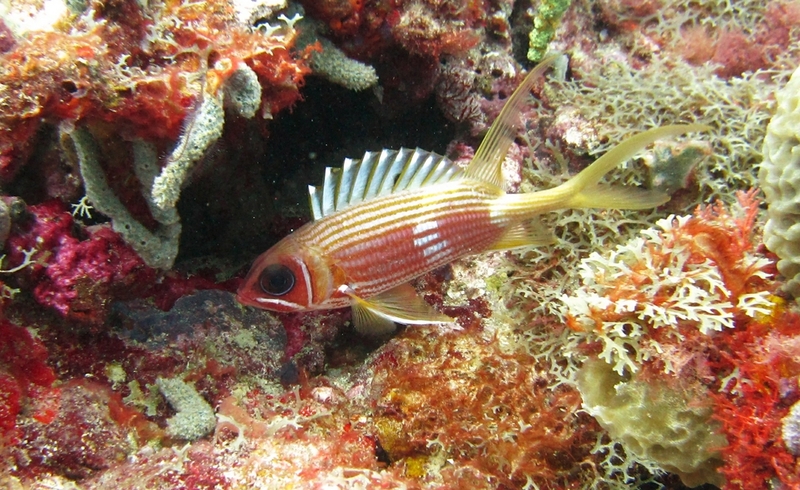 Longspine squirrelfish (Holocentrus rufus) at Purple Rain. 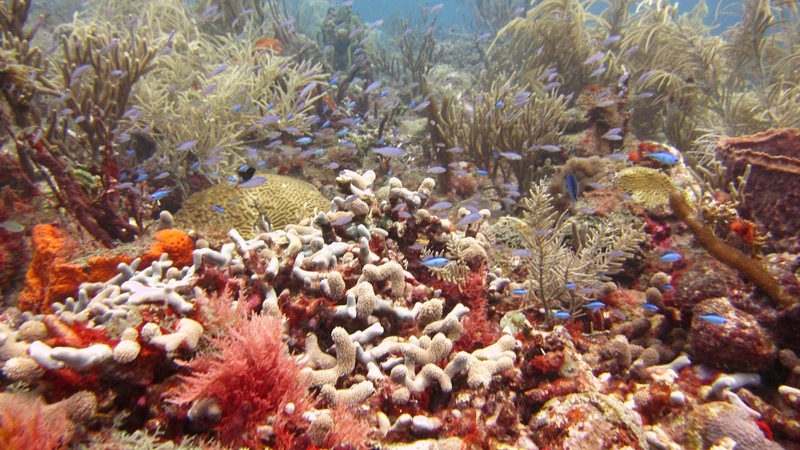 Pretty reef at Purple Sand. 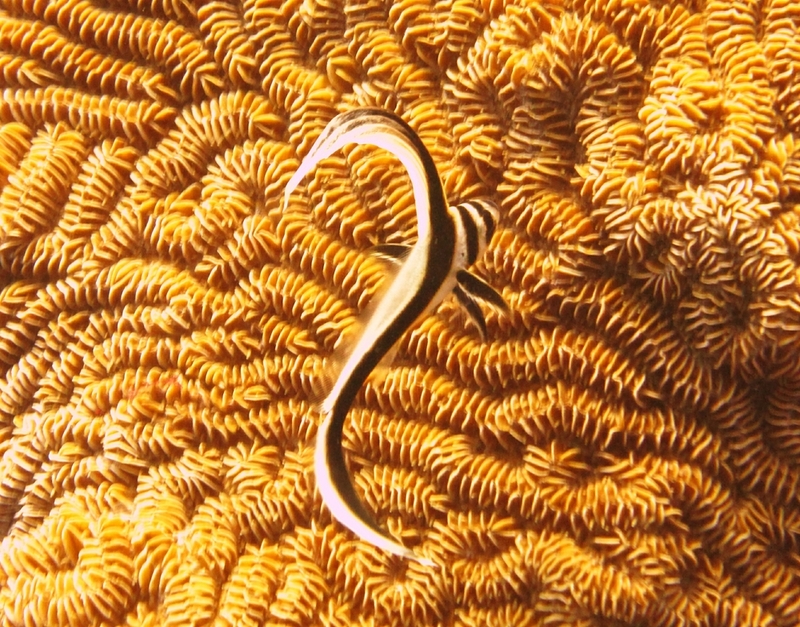 Juvenile Jackknife fish (Equetus lanceolatus) at Dragon Bay in the Marine Protected Area. 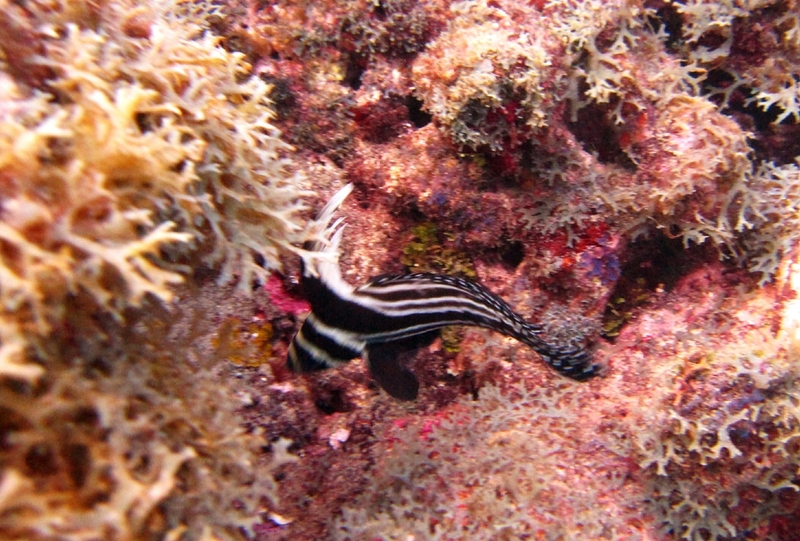 A bit blurred, but a Spotted Drum (Equetus punctatus), also at Dragon Bay in the Marine Protected Area. 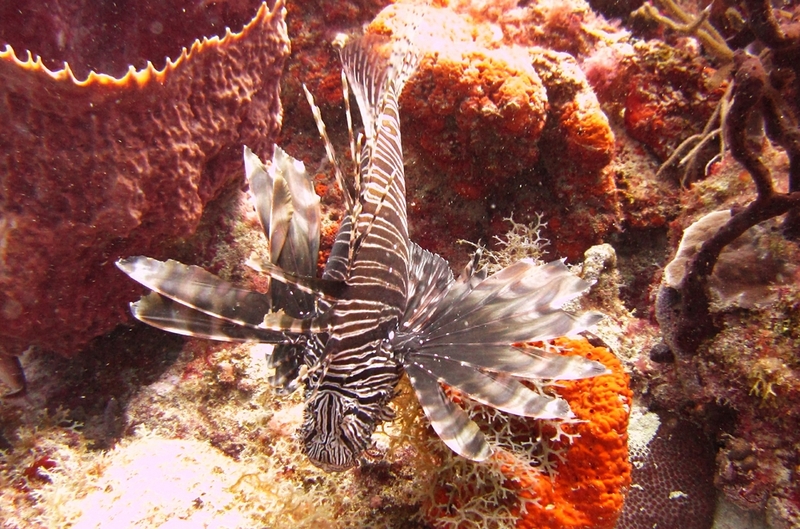 There are plenty of the invasive Lionfish (Pterois volitans) around. 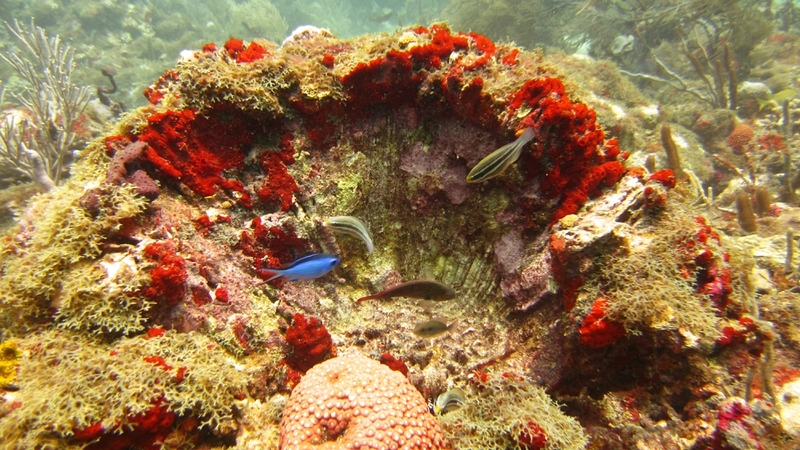 This one was at Purple Rain.